As any regular reader of London-Unattached may have noticed I share recipes for a lot of home-made soup. 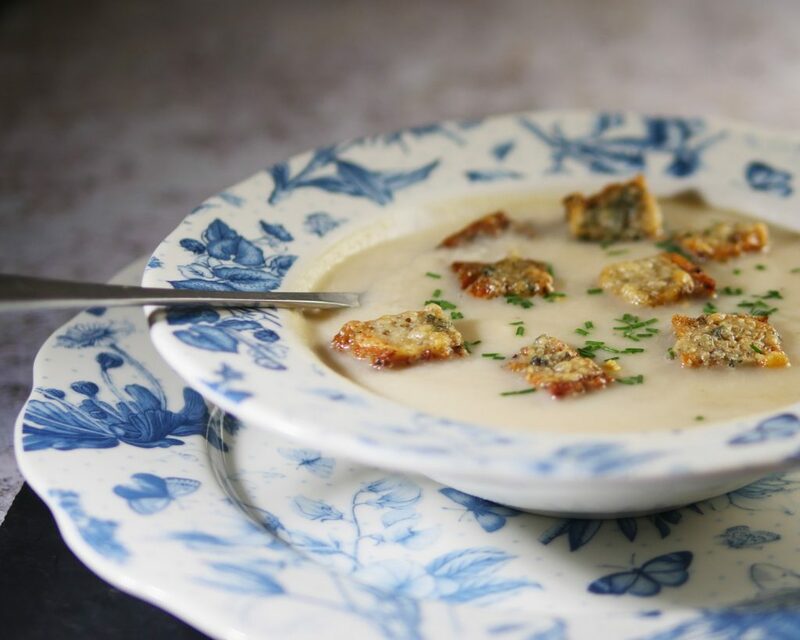 Celeriac Soup is one of my own personal favourites – I love the taste of celery and by using celeriac I can avoid the stringy bits on normal celery you are supposed to remove from your celery with a potato peeler. And, the root is just that bit more substantial. You end up with a ‘cream of’ soup without having to add cream (though I do like to stir through a spoonful of creme fraiche just before serving, it’s really not necessary). So I was delighted when the box of vegetables sent to me by The Organic Pantry contained everything I needed to make a classic celeriac soup. This kind of recipe, using mostly root vegetables, is one where not only the taste but the health benefits are particularly improved by using organic vegetables. Root vegetables grown in good soil are full of nutrients and are an excellent source of fibre. Celeriac is rich in vitamin K and a good source of vitamin C, Vitamin B6, and phosphorus. 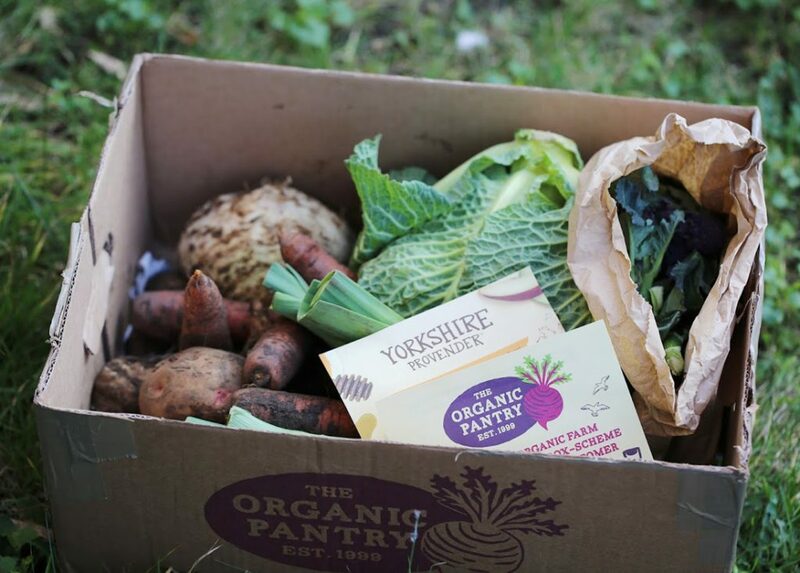 But, all root vegetable absorb toxins from the ground so organic really is the best choice where possible. 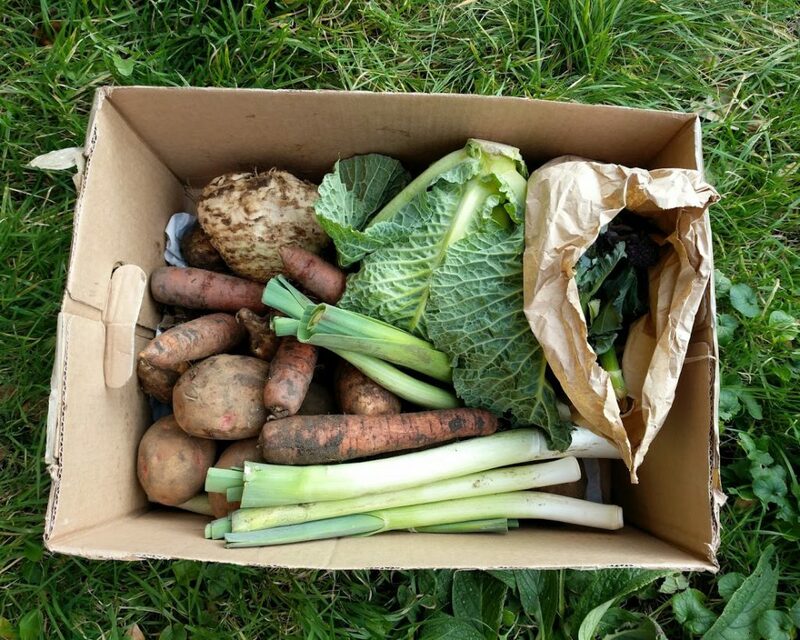 In my ‘weekly farm box’ from the organic pantry I was sent celeriac, Jerusalem artichokes, potatoes, carrots, onions, tenderstem broccoli, cabbage and leeks. All of them except the Jerusalem artichokes, tenderstem broccoli and cabbage went into this soup and I added a few ingredients of my own to finish the soup off. It’s all part of a challenge set by Yorkshire Provender to raise funds for Centrepoint, a charity dear to my heart. They are running a competition for a new soup recipe – and the winning recipe will be produced, sold in Waitrose and 20p of every pot sold will go straight to Centrepoint. If you have a winning recipe of your own you have until the end of March to send it in – just pop along to the Centrepoint website and submit your entry there. Peel and dice the onion and garlic. Clean and slice the leek. Add enough stock to the pan to cover all the vegetables with about an inch extra of water. Top up with water or stock as necessary and cook until the potato and celeriac is soft and almost falling apart. Check the seasoning of the soup and serve with a teaspoon of creme fraiche stirred through each bowlful and with a garnish of croutons and chopped fresh chives. Why is this recipe a bit wicked? Well, you can make a perfectly acceptable lower calorie version with just the creme fraiche and chives. You can even sprinkle a little crumbled blue cheese on top (I love that pairing of blue cheese and celery). But, the nicest version of all, in my opinion, has the lot – a kind of soup sundae with naughty sprinkles. Croutons oven-baked with olive oil are really not low calorie at all – and topped with blue cheese they are actually nice as little nibbles on their own. Added to a celeriac soup and you have a substantial dish. I’m not even going to try and work out the calories in the croutons. I”m just going to eat this soup two ways – the saintly version, with low-fat creme fraiche for 5:2 diet fast days and the sinful version for feast days! It looks rather posh too don’t you think, for something made from one of the ugliest vegetables on the supermarket shelf! So, just to remind you – if you’d like a chance to see your own recipe on the shelves of Waitrose – and you want to help raise funds for Centrepoint, pop along to the Big Broth page now and send in your entry. 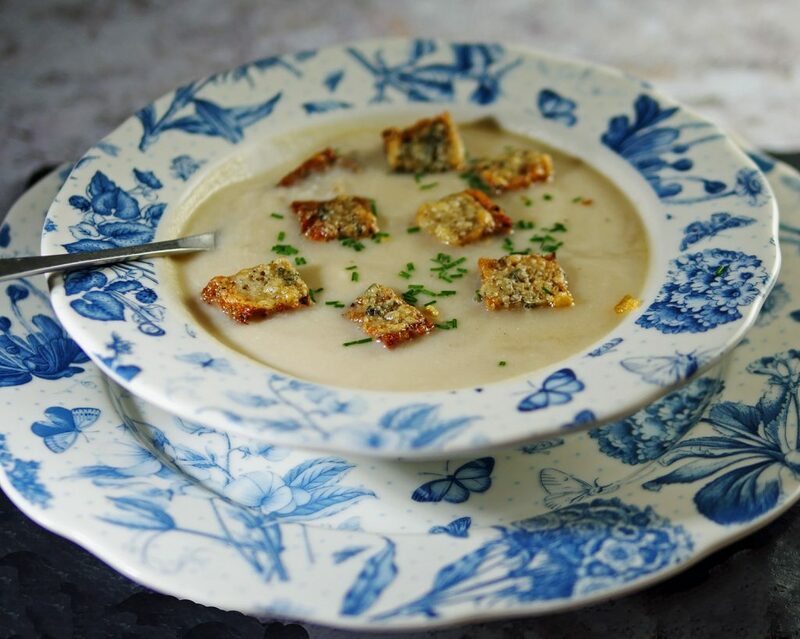 I have to try this recipe, we all love celeriac and the blue cheese are just a perfect touch to this soup. This sounds delicious, and it’s low calorie. Can’t wait to try it. I love soup. and I love blue cheese. This just sounds amazing with it being filling and those added health benefits. Perfect to take some extras for work too. Have been looking for a celeriac soup recipe as we had a bought one (from Waitrose!) that was so good. I remember getting celeriac in a veg box and not knowing what to do with it, wish I’d had this recipe then.